OF THIS PAGE FOR YOUR COURSES!! Join Dana Damara every month, in the comfort of your own home, for New and Full Moon practices, meditation, and sacred ritual using oils and crystals, to connect you deeper to your truth and alignment with the Moon and Her cycles! Hatha is translated as: ha meaning "sun" and tha meaning "moon." This refers to the balance of masculine aspects—active, hot, sun—and feminine aspects—receptive, cool, moon—within all of us. 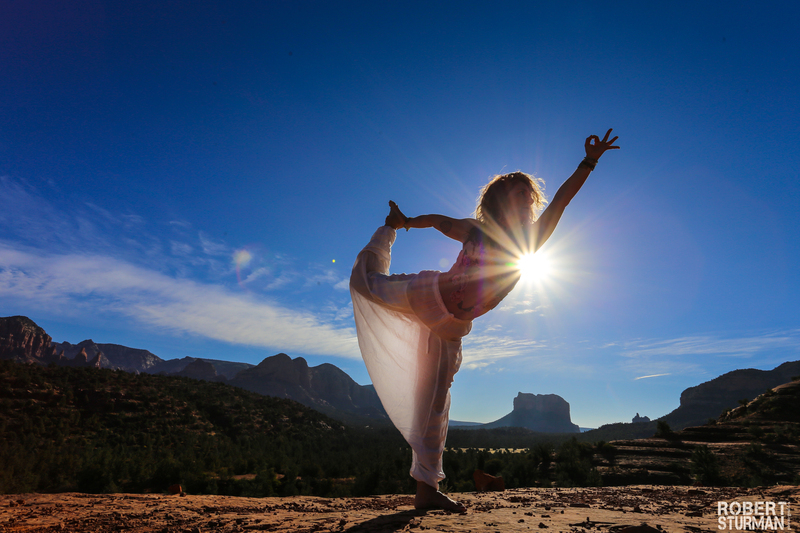 Hatha yoga is a path toward creating balance and uniting opposites. In our physical bodies we develop a balance of strength and flexibility. We also learn to balance our effort and surrender in each pose. We pulse with the rhythm of the Moon, and the Moon ebbs and flows every month, 13 times a year, in and out of each zodiac sign. The planets make their own orbit, dancing with the Moon to create what we call “aspects”, that believe it or not, affect us. As we refine our essence and connection to the Moon, we begin to align deeper with who we are. Since I’ve focused my attention on these practices, I’ve revealed an entire new significance to this practice. This offering, the 13 Moon Mystic, is open to men and women aiming to create a deep, personal connection to the Divine, via the Moon in all her glory. Each month you will receive in your inbox, digestible, usable tips and tricks for a deeper connection, that support you in your personal practice and simple rituals you can share with your students if you are a teacher or healer. New Moon Aspects … Astrological, lunar and planetary aspects for this New Moon cycle. Suggested essential oils that can enhance your practice. Full Moon Ritual and aspects which will be delivered to you closer to the actual date. These hours count toward your study for Embody Truth Yoga Teacher Training Program. See Dana for details. When does the subscription start and finish? Your monthly subscription starts when you begin and ends when you cancel. It is a self-paced, on-line course that you have complete control over. Yes, you can share this course. However, we hope that you invite your friends via our link where they pay for their own subscription. It’s not possible to miss a month. You will be able to open these recordings as long as you pay the monthly subscription fee. Just provide, in writing, that you would like to cancel your subscription. Your billing will be cancelled once we receive your request – no questions asked, however, we value your feedback so please do let us know why you cancel, when and if you do. I would love to have you on this journey! Please email me with any questions; otherwise, let’s get this party started! Dana Damara is a Master Teacher and healer with Shaman roots. She began her yoga journey almost 20 years ago which has included working with prenatal women and new mothers, owning a successful yoga studio in the NW, writing and running Embody Truth Yoga School, creating Youth and Girls Elevate (a yoga program for middle and high school adolescents), facilitating Moon Circles, and leading workshops, trainings and retreats around the world. As a spiritual Ninja, walking this mystic path with practical shoes, Dana Damara is a mother, author, coach, teacher of teachers, speaker, and servant of the heart. She exudes a balance between the mystical realms and realities of motherhood. She also dabbles in crystal therapy, essential oils, Tarot and Astrology readings, and Reiki healing. She is AN ACTIVIST FOR WOMEN OF ALL AGES OFFERING PROGRAMS THAT SUPPORT: feminine embodiment, self-love, sisterhood, sacred ceremony and ritual, AND A SAFE SPACE FOR EXPLORATION AND CURIOSITY. When Dana Damara enters your life, everything shifts. Her power as a leader and dynamic agent of change becomes obvious when you read her books, watch her videos, or sit with her in a studio. Her essence is scented with truth, and the leadership that naturally emerges from experience. She has an organic ability to tap into the intuitive elemental connection to the magic of women and their power. In her quest for personal evolution, she has written three books: Oms from the Mat, Oms from the Heart, and the New Feminine Evolutionary. She’s also created some pretty powerful Evolutionary programs: Embody Truth Yoga Teacher Training, Evolutionary Sisterhood via her 13 Moon on-line moon circle, Evolutionary Coaching for yoga teachers, and Evolutionary Education via Youth and Girls Elevate. Her greatest teachers are her two daughters, her family, Byron Katie, Seane Corn, Louise Hay, Shiva Rea, Michael Beckwith, Janet Stone, and every student that has ever walked into her class. I loved it. I love how there is info on oils to use and a sequence for the new moon.